Andrew is a partner in our Johannesburg office in the Banking and Finance Department and a member of the Project Finance Practice. 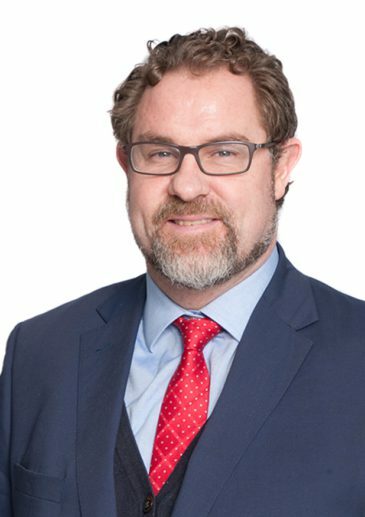 Prior to joining Bowmans, Andrew was a partner at another large South African law firm where he headed the Engineering & Construction Team within the Projects Practice and provided specialist EPC/PPP/IPP related legal services in the infrastructure, energy, mining & resources, transport and real estate domains. Andrew spent several years in Dubai in capacity as: general counsel (Development ) for Meraas Holding LLC; senior legal counsel for Nakheel PJSC; and senior legal consultant for Al Tamimi & Co law firm as well as divisional head of Al Tamimi & Co’s Engineering & Construction Department. During this time he was involved on a variety of mega infrastructure and real estate projects in the Middle East, including the Waterfront, Palm Jebel Ali, Palm Jumeirah, Palm Deira, Jumeira Garden City, Pearl Jumeirah, Jumeirah Golf Estate, World Islands, Al Burj Tower and Sheik Khalifa Tower projects, with aggregate project values in excess of USD 300 billion. Andrew has BA and LLB degrees from the University of Cape Town. The Zambezi River Authority in respect of the 2400MW Batoka Gorge Hydro-Electric Scheme in Zambia and Zimbabwe. Project capital value is circa USD 4 billion. Palabora Copper (Pty) Ltd as developer legal counsel in respect of the Lift II brownfield copper mining project at Palaborwa. Project capital value is circa ZAR 9 billion. African Development Bank as lender counsel in respect of the contractor mining agreement for a brownfield manganese mining project in the Northern Cape. Contract value is circa ZAR 4.8 billion. Kilwa Energy Company Limited on an independent power project in Tanzania for a 320MW closed cycle gas fired power station. Peu Capital Partners (Pty) Ltd (Peu) and Total Utility Management Services (Pty) Ltd (TUMS) with regards to a pre-paid smart meter network for the City of Tshwane. Project value is circa ZAR 8 billion. the 760 MW Fujairah gas fired power and desalination plant. a 340MW CCGT power plant in Kpone, Ghana. Anglo American in respect of a 450MW greenfield Khanyisa coal fired power plant project. Cennergi in respect of its bid submission for a 300MW coal baseload power plant in respect of the Botswana Morupule B Phase II Independent Power Procurement Programme. Barclays Africa Group Limited in respect of independent power projects using a variety of technologies for a range power plants located on customer sites in multiple African jurisdictions, including South Africa, Mozambique, Namibia, Kenya and Tanzania. Inter alia, Abengoa Solar (Pty), Alfanar, York Timbers, Standard Bank, OPIC, Mulilo Renewable Energy (Pty) Ltd , Hydro Tasmania, Longyuan South Africa (Pty) Ltd, GLOBALEQ, Scatec Solar and BrightSource Energy Inc on numerous wind, hydro, bio waste to power and solar (PV and CSP) projects in respect of the South African IPP Procurement Programme for New Generation Capacity. its participation in an independent power trading project between Zambia and the DRC with Metorex and CEC. Fibreco Telecommunications Ltd for a fibre optic network infrastructure project between Cape Town and Johannesburg in value of circa ZAR 1 billion. CitiConnect (Pty) Ltd in respect of a 900km broadband network to service the city of Johannesburg Project value is circa ZAR 1.7 billion. Thebe Investment Corporation in respect of its 20% on a 300MW power project bid on the DoE Coal Baseload IPP Programme. Boss Mining Sprl in the Democratic Republic of Congo in respect to the reinforcement of a 220kv substation and rehabilitation of a 120kv line. Isolux Corsan (Pty) Ltd respect of a 220 kV Transmission System Project in Rwanda. Ranked by Legal 500 in 2018 as a leading lawyer for Construction. Chambers and Partners 2018 ranked Andrew in Band 2 for Construction. IFLR1000’s 2018 Financial and Corporate Guide rated Andrew as a Highly Regarded Lawyer for Energy and Infrastructure, Project Development, Banking and Project Finance. Chambers Global 2013 to 2017 as a leading lawyer in Construction. IFLR1000 2013 to 2017 as a leading lawyer in Banking & Finance, Energy and Infrastructure, Project Development and Project Finance. Legal 500 Europe, Middle East & Africa 2014 to 2016 as a leading lawyer in Construction. Euromoney’s 2013 to 2016 Guide to the World’s Leading Construction Lawyers as an expert in his field. IFLR1000’s Guide to Energy and Infrastructure (2016) – as a leading lawyer in Energy and Infrastructure. The Guide to the Industry’s Leading Law Firms and Lawyers, Energy & Infrastructure (2016) – as a leading lawyer in Energy and Infrastructure. Petroleum Economist: Africa Energy & Infrastructure Guide 2013 to 2014 as a leading lawyer Concessions, Corporate & Commercial and Infrastructure. Legal 500 Guide to Outstanding Lawyers 2013 as a leading lawyer in Banking & Finance.